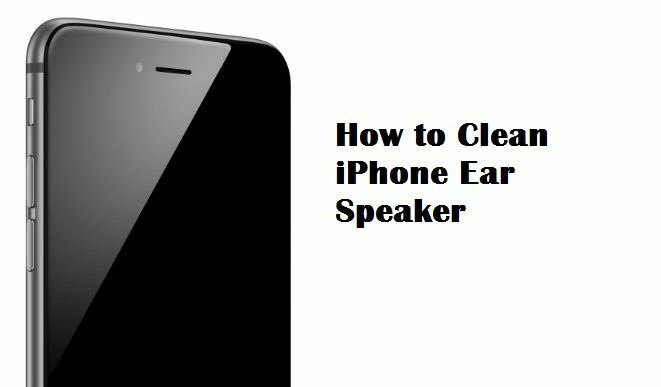 How to Clean iPhone Ear Speaker – The first version of the famous iPhone was released in 2007 and promised to be a revolution of cellular technology. The promise was indeed true and showed that the iPhone was at least 5 years ahead of mobile phones existing in the current market. From this day forward, Apple’s device has become the object of desire for all people, especially the young, who refer to it as a model of perfection. The speaker is the most complicated part of wiping on the iPhone. This is because of the difficult access of these cavities covered by a small grid. If the speaker is clogged probably the sound will propagate distorted, muffled, noise and/or wheezing, during the call or use of the speaker for the transmission of music, videos, recordings, sounds, etc. In some cases, the sound may just not be heard. Although beautiful aesthetically, a model of perfection, the revolution of cell phones, it is not surprising that its price is not one of the cheapest. For this reason, see below how to clean the speaker of the iPhone correctly and retain its quality. Step 1: The first step is to turn off the device. The cleaning will be dry, but still turn off the phone to avoid interference and any other risk. Remember that the iPhone is an electronic object like any other, and for that reason, all care is little. Step 2: To perform the second step, you will need a clean, dry and soft toothbrush. Use the brush to carefully remove all dirt and/or dust residues that are present in the speaker’s cavity. If you do not have a toothbrush at home that can be used for this cleaning, you can opt for a brush. But remember to check that the brush is with thin and soft bristles so as not to run the risk of scratching the appliance or damaging any inner parts. Step 3: Finally, moisten a clean, soft flannel with a little isopropyl alcohol. This type of alcohol is special to perform electronic cleaning. This is because it is a kind of pure alcohol that does not contain water in its composition and is rapid evaporation. Still do not swell the cloth, just moisten it and clean the dust microparticles that were present around the speaker and all over the cell phone. That kind of alcohol can be found at any pharmacy. This step is important in order for the cleanup to have a longer duration. If you do not remove these microparticles, they will probably return to the speaker’s cavity and you’ll have to redo this procedure within a very close time.